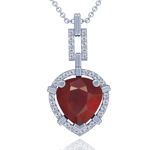 GemsNY carries ruby pendants in all shapes. Choose one of the three options below to purchase your perfect pendant. 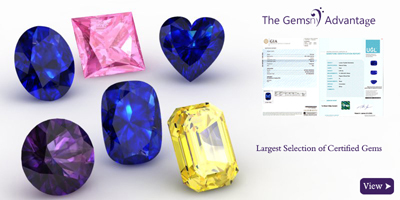 Select from our vast inventory of designer settings and beautiful rubies to create your personalized pendant. 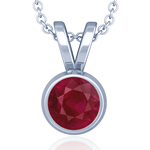 Add flavor to your Ruby pendant by accenting it with sidestones. 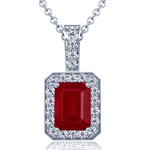 GemsNY delivers the latest ruby antique pendants, a must have for your jewelry collection. 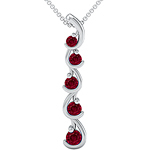 GemsNY offers genuine ruby pendant necklaces in many different styles, with designer settings that accentuate the beauty of each natural ruby. So whether you're searching for a classic ruby heart necklace or something a bit more unusual, GemsNY has a ruby pendant necklace to fit your style and budget. 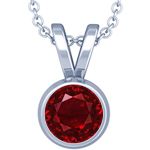 We carry an incredible selection of preset ruby pendant necklaces. 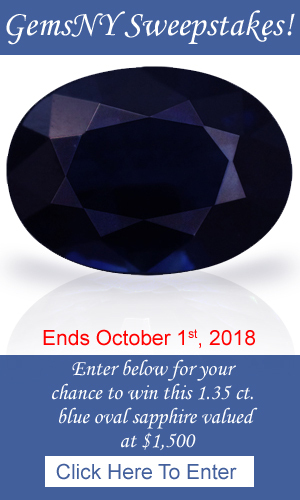 You can refine your search according to several criteria, including the style of the pendant, the shape of the ruby, and the type of metal. Although these are preset ruby pendants, the sheer number of ruby necklaces we have available means that you have almost endless choices. 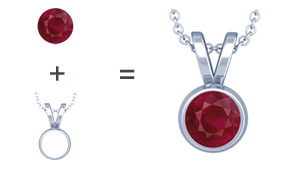 You can also use our "Make Your Own Ruby Pendant" tool to match the exact gemstone you want with one of our many designer settings to create the ideal ruby necklace. 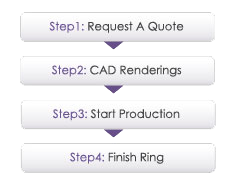 And if you have an original design in mind, you can use our Custom Jewelry Design service to bring your ideas to life. 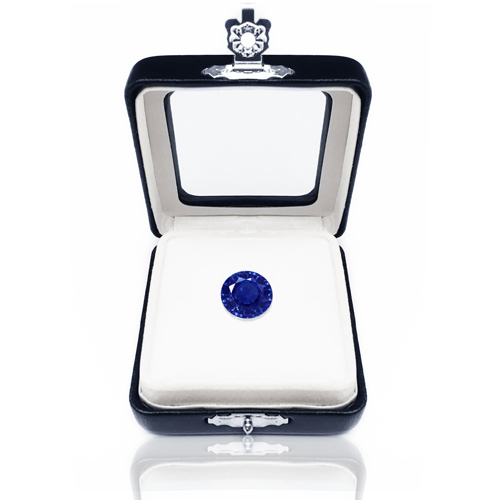 All of our rubies are authentic and certified, and our jewelry is made to order in the Diamond District of New York City. 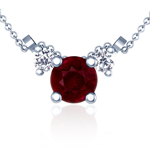 Shop GemsNY to find the most beautiful genuine ruby necklaces at discounted prices!